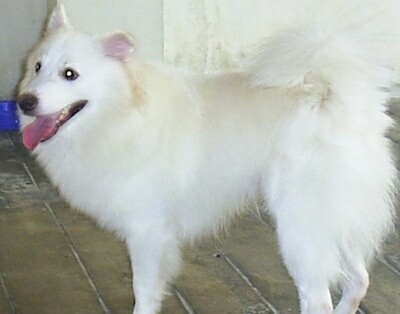 The Japanese Spitz is a high-spirited, intelligent and playful dog, which is alert and obedient. This bold little dog is a good watchdog and will alert its owners when it feels it is necessary. 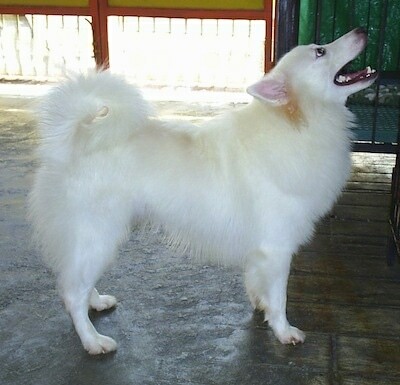 The Japanese Spitz is not difficult to train as long as the owner is always consistent. This breed learns quickly and really enjoys agility and playing games of catch with balls or Frisbees. This happy dog is usually good with children and usually gets along well with other dogs and household pets. 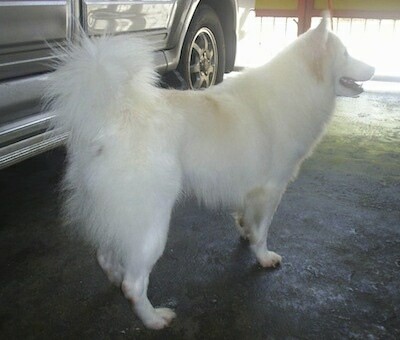 The Japanese Spitz is, in spirit, a big dog in a little dog's body. This tough little dog acts as a house protector and guardian. 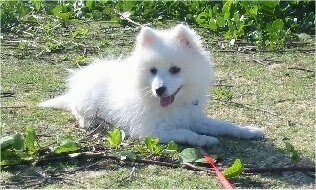 The Japanese Spitz can be an inveterate barker if you allow it to believe it is in charge. Be sure to tell your dog enough is enough and to quiet down if he starts barking obsessively. Cheerful, bold, proud and affectionate toward its masters. Make sure you are this dog's firm, confident, consistent pack leader to avoid Small Dog Syndrome, human induced behavior problems. When dogs are allowed to be pack leader to humans they can develop many types of behavior issues, including, but not limited to being suspicious of and barking at strangers, guarding, separation anxiety, destructiveness, snapping, and even biting. 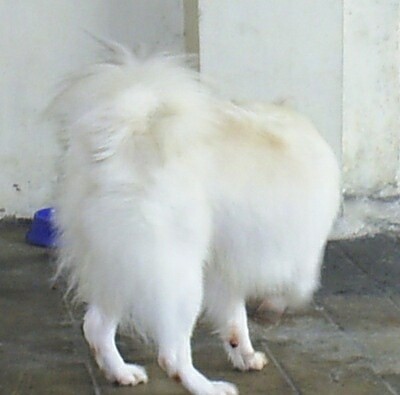 These are not Spitz traits, but rather behaviors resulting in a lack of leadership on the human’s part. Always remember, dogs are canines, not humans. Be sure to meet their natural instincts as animals. They need rules to follow, limits to what they are and are not allowed to do and a firm, consistent, confident pack leader, along with daily mental and physical exercise. 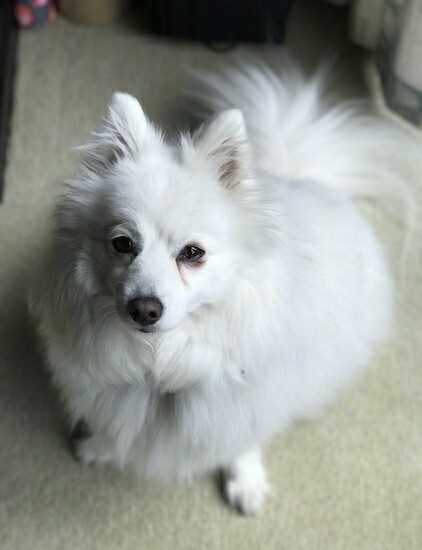 Sasha the Japanese Spitz at 2 years old from Ireland—"She is the most beautiful playful dog ever!" 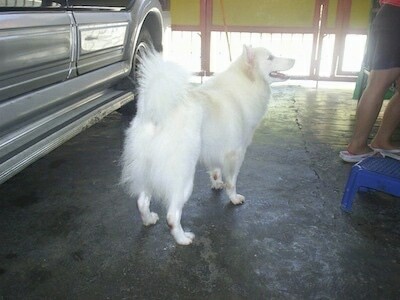 Rhyan the Japanese Spitz at 2 years old from the Philippines—"My dog is a 2-year-old male pure Japanese Spitz. A good-looking dog with a nice double coat. He is an obedient and a very low-temperament pet. He is a very shy dog, who used to cover himself when he is eating. He is our second dog. We love him very much! That is my Rhyan." Bailey the Japanese Spitz is one loved doggie!